Located in Hopkins Minnesota, Automotive Performance Studio (APS) is an industry leader in custom vehicle and fleet graphics. From full vehicle wraps to racing stripes to floor graphics, we can create and customize your vehicle to suit your business or personal style. We also offer a variety of products and services that will protect the interior and exterior of your vehicle. Whether you’re looking to advertise your business or just turn some heads, our talented design team will make it happen. 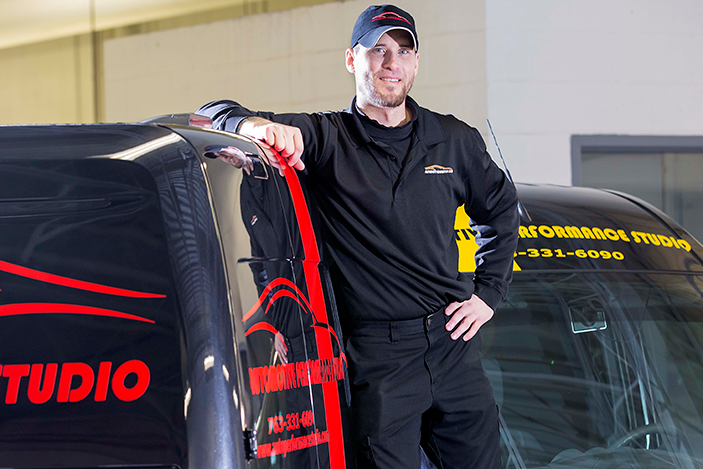 With over 20 years of experience creating vehicle graphics, we love what we do, and we do it well! Want to know more? Contact Us today for a FREE estimate!